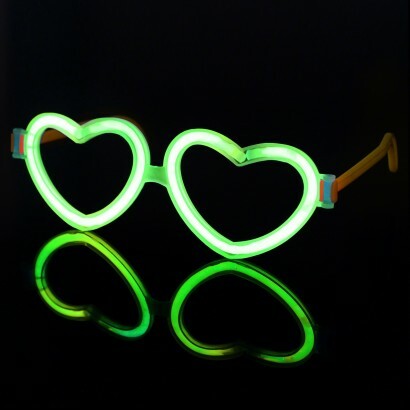 Feel the love and rock a pair of groovy glowstick heart glasses for the ultimate party look! 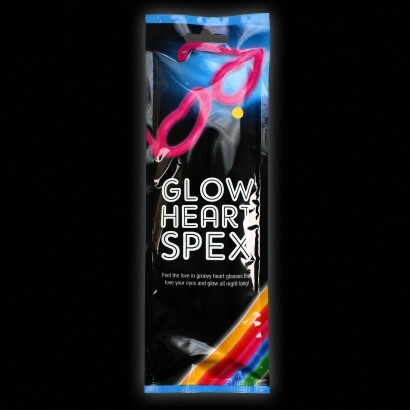 Available in mixed colour packs of green, blue, pink and yellow, each pair is individually foil wrapped with packs containing two eight inch glowsticks, a heart shaped glasses frame and two arms. Perfect for parties, events and romantic occasions, love your look with colourful glowing heart specs! 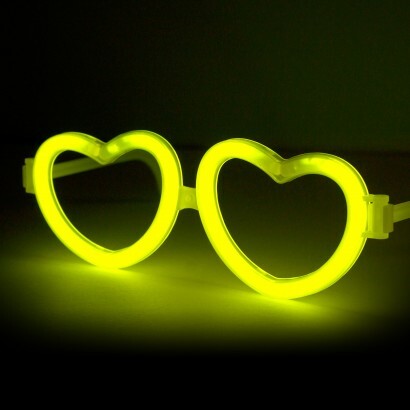 Frame your eyes with glowing hearts! Glows for up to 8 hours!